The China Taichi Guide - Yang & Chen Tai Chi in China. 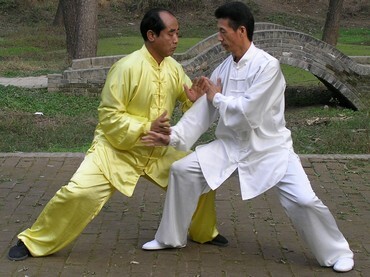 A Directory of Tai Chi Schools & Teachers in China. The China Tai Chi Guide needs help to continue to develop and stay relevant. If you are interested in the project, contact me or see Tai Chi Internships for more info on how to study long term without a large money outlay. Welcome to The China Tai Chi Guide! Why learn Tai Chi in China? China is the 'mother' culture of Tai Chi. World Class Teachers are accessible there. You can train with them full time. And it's affordable for most Western people. Whatever your reason for looking for a Tai Chi teacher in China, whether for your health or spiritual development or simply a desire to progress in what is perhaps the ultimate martial art, I wish you good luck! What do you really need to learn Tai Chi well? Personalised instruction from top class teachers with years of teaching experience. Look through this site. There are some amazing teachers listed here. A quiet environment with good Chi and enough personal space to relax. Ideally yes - it really helps. A good teacher will have a reasonable environment to train in. Chinese parks are often the best places. 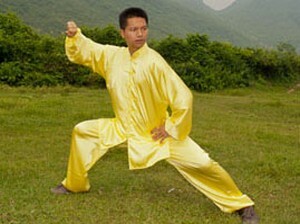 Chen Tai Chi though is often learnt with the aid of large mirrors and so you may learn best inside. Lots of practice time with no distractions, to really let go, explore your personal reality and grow. This for me, is one of the really important benefits of training in China. It can be a great opportunity for reflection. A comfortable area to live in, with good hotels and restaurants at affordable prices. Yangshuo and a few other places in China provide this. Others are more spartan at best such as Chen Jia Gou, or 'intense' at worst if you choose a Chinese city. But every environment has its pluses and minuses. Prices are not too high still. From 4000 Yuan can pay for a month's training in a good school, but you'll find that teachers in the parks will charge much less. What qualities do you need to learn Tai Chi in China? The maturity, self-discipline and dedication to work hard towards your goals. Tai Chi does not come easy. High level teachers won't pamper you. You learn step by step and practice in between, hour after hour. Self-motivation is everything. But it comes naturally when you start to appreciate the path you've chosen. Good schools will have assistant teachers to guide beginners and it can be good fun as well as hard work. Time and patience are rare qualities but we can all allow ourselves to have them if we so choose. Patience is about letting go of goals and valueing instead the small things of each moment, being humble, a beginner. Yang Tai Chi in particular is suitable for most people, even as a recovery regime after heart or other issues, but there are always things to take into account. Your body should know best, so follow it. If tired, rest. If your knees hurt, back off and see if you are doing too much or practising incorrectly. Living alone in any alien environment can be stressful for some people. If you are concerned, travel with a friend, or choose somewhere easy like Yangshuo to start off. A basic level of Chinese. You don't need much Chinese language to function in China, especially in Yangshuo, but for the other areas it does help, as few people speak English still, including Tai Chi teachers. Don't be put off by this, the people are generally extremely friendly and helpful and you can learn along the way. But consider a short Chinese introductory course before flying out. 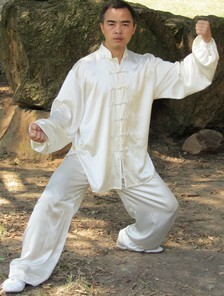 If you want to learn more about where Tai Chi came from and what it is, then take a look through the Tai Chi section. 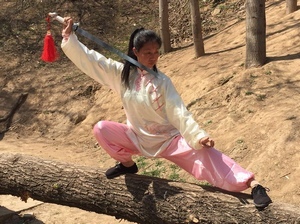 If you want to learn Yang Style Tai Chi then you might consider Wang Zhi Ping in Yangshuo who teaches Modern Beijing style or Zhao You Bin in Xian for Yang Chenfu Long form. If you want to strengthen your health and increase your flexibility with Shaolin Qi Gong then Wang Zhi Ping teaches this in Yangshuo. It is suitable for beginners and those with some experience alike. 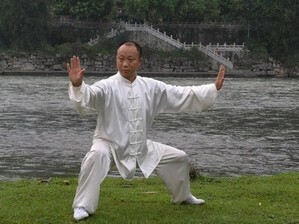 Beginners or intermediate students keen to learn Chen Style Tai Chi might consider Wu Heng Dong (Kim & Ping) in Yangshuo, or Chen Zhao Sen in Chen Jia Gou. If you are based around Shenzhen then Chen Jun is a good teacher from Chen Zhao Sen's school. She has lots of experience so could be a good teacher if you are a beginner in Chen, or are intermediate to higher level. 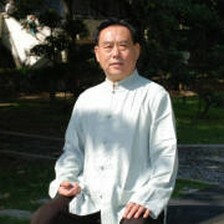 Xie Yong Guang in Handan is a great person to work with if you are interested in Yiquan for health or martial work. A good teacher if you are really into practical martial applications. 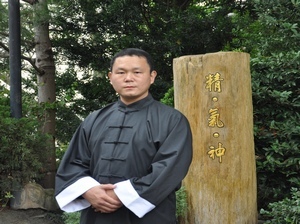 Finally if you are interested in Feng Zhi Qiang's Chen Style Xinyi Hunyuan, then Wang Zhi Ping teaches a beginner's level of this in Yangshuo and Ou Hai Bing in Zhuzhou, Hunan Province teaches at a very high level on a private basis. He is also able to train beginners privately at a high level starting from Yang if desired and then moving into Chen Style Xinyi Hunyuan or Chen 56. For a tourist visa, one generally requires evidence of an accommodation booking for the duration of ones stay and details of flights into and out of China. While this requires a little effort to arrange, it should not put interested students off studying long term in China. The Tai Chi schools may find it difficult to arrange a study visa for you as they are not considered official educational establishments, but they should be able to help with either an invitation for tourist purposes or be able to provide accommodation proof. This should be adequate for three-six month stays, and beyond this obtaining a second visa in Hong Kong may be a possibility with the help of the school. People from the UK now benefit from a 2 year multi-entry tourist visa, 3 months per visit, which is amazing! So if you want to live in China to learn Tai Chi its now straightforward.